The ECB SuperUtes Series will continue with the format that was used in the inaugural season, after trialing a different structure for Adelaide's 2019 season opener. 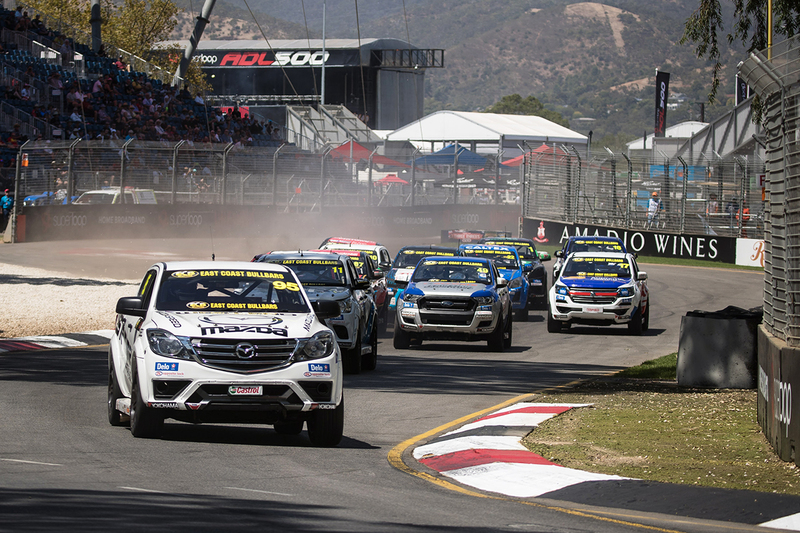 SuperUtes used a three-race schedule throughout 2018, with the grid for Race 2 the reversed Race 1 results, and the final based on aggregate points. In Adelaide earlier this month, ARMOR ALL Qualifying results were reversed to form the grid for Race 1, the results of which were reversed again for Race 2. Points were awarded for qualifying to prevent sandbagging while the final was worth double points, but both Races 1 and 2 featured heavy first-lap accidents. That format was used to "try something different", category manager Kurt Sakzewski says, and following a review SuperUtes will stick with its 2018 structure. "We looked at how the new formats played out and identified that having a reverse-grid race for the first race of the weekend, especially in a category that we from time-to-time have new drivers, it didn't produce the best results," Sakzewski told Supercars.com. "We feel the category is going to be better served to have the first race of the weekend in a traditional fastest-at-the-front type of format. "That gives all the drivers the opportunity to get out, get a feel for the track, get a feel for the racing starts. "Then as we did last year, we'll have a reverse-grid race in Race 2 of the weekend and by that stage everyone has familiarised themselves with the racing procedures, starts and all of those elements." In a complete return to the 2018 format, qualifying points will stand as an Adelaide one-off, with Round 2 to be held at the PIRTEK Perth SuperNight on May 2-4. "We really just looked at what we tried and the formula we had last year worked pretty well," Sakzewski added. "Certainly in the back half of the year we saw some great racing and the championship did come down to the wire and we didn't have anyone take off into the distance. "The changes that were made in Adelaide were around having that first race being a reverse grid, hence the changes in points allocation. "Once we decided we'd go back to the same racing format, it just made sense to revert to the same points spread as well." Following early drama in Races 1 and 2, defending champion Ryal Harris beat Tom Alexander in the Adelaide final to secure the round honours. EFS 4x4 Mazda driver Harris and Caltex Delo Isuzu's Alexander also qualified first and second, and finished Race 2 in the same order. 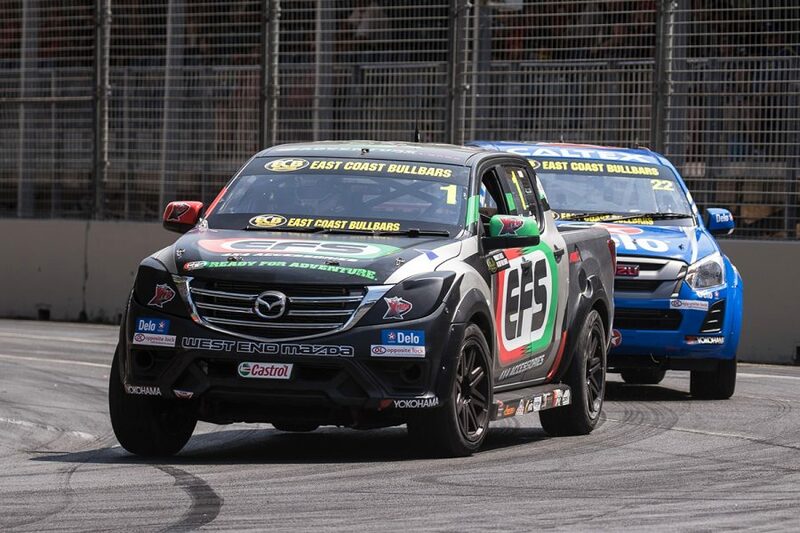 "Race 3 was fantastic, it was just a shame that we had the bad start to the weekend, but really Race 3 showed how far the category has come," Sakzewski added. "We've made a lot of progress between the teams' development with the cars and understanding how to set the cars up and how to run them. "We've got pretty good parity across the whole category now and we saw that across the last three rounds of last year. "And most drivers that are driving them are return drivers from last season, so they've had a season under their belt."